Portland, OR (June 11, 2018) – Three of the world’s top roller derby teams will travel to Portland to compete against the Rose City Rollers’ premier travel team, the Wheels of Justice, and each other in the Rose City Rollers’ “Hometown Throwdown,” which will take place from June 22nd through the 24th at The Hangar at Oaks Amusement Park.  In addition to Portland’s two-time world champion Wheels of Justice, who are currently ranked 2nd, spectators will be able to see New York City’s Gotham All-Stars (five-time World Flat Track Derby Association International Champions and currently ranked 3rd), Los Angeles’ Hollywood Scarlets (ranked 4th), and the Crime City Rollers from Malmö, Sweden (ranked 10th) compete. To put the rankings in context: there are over 400 roller derby leagues around the world. To have four of top ten teams compete outside of a major tournament is rare—and a great opportunity for Portland to see some of the sports’ best athletes take to the track locally. The Wheels of Justice started the 2018 season off with two wins at The Big O tournament in Eugene, Oregon, last month: they defeated St. Louis’ Arch Rival Roller Derby All-Stars(then ranked 7th) and Denver Roller Derby’s Mile High Club (then ranked 5th)—both teams have since risen in the rankings. 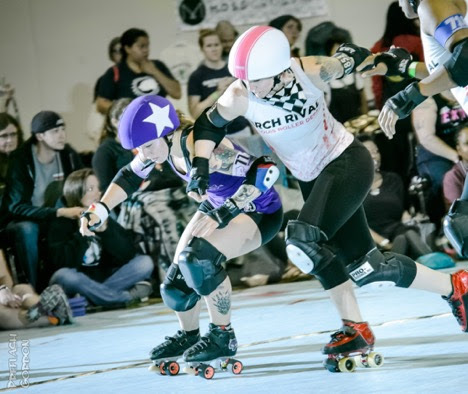 Hometown Throwdown takes place against the backdrop of the Rose City Rollers’ ongoing search for a new venue and is likely to be the last time Portlander’s will be able to see the tournament at the renowned Hangar. Tickets for the Hometown Throwdown can be purchased through the Rose City Rollers’ website, and can be purchased for either the entire weekend (for $35 for general admission) or for individual days ($15 for general admission).